2018 Mahindra XUV500 Facelift: 10 big surprises! The new 2018 Mahindra XUV500 facelift feels a lot more upmarket than before. Much of this has to do with the several new premium features on offer. These features are generally available on cars costing substantially more than what the XUV500 does. 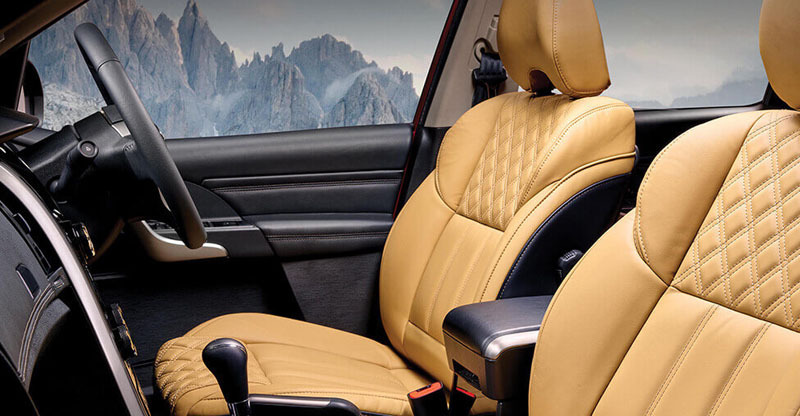 We are talking about features like electrically adjustable driver’s seat and soft-touch leather-top for the dashboard here. The touchscreen infotainment system of the 2018 Mahindra XUV500 facelift comes paired with an Arkamys audio driver. The tweeters have now moved from the dashboard to the A-pillars. Arkamys is known for offering innovative software and services in audio signal processing. The company has won a lot of rave reviews for offering a really great sound experience in automobiles, mobile phones, and VR devices. Other than getting the Arkamys audio software, the infotainment unit has also been updated to run using a new smartwatch app via Bluetooth. This is a very useful feature as the popularity of smartwatches has been on the rise of late. 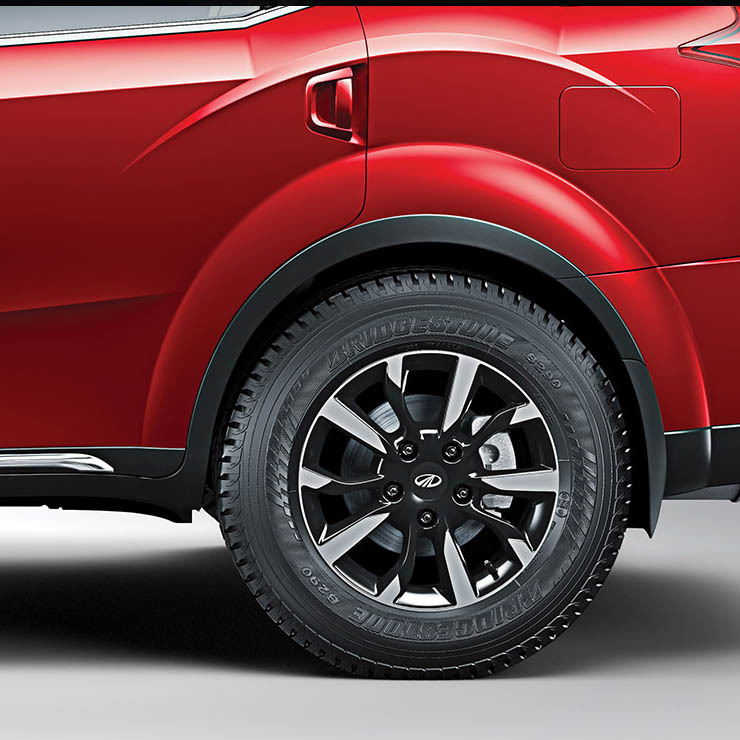 While the old model offered 17-inch wheels, the new 2018 Mahindra XUV500 facelift gets optional 18-inch diamond-cut alloy wheels shod with 235/60-spec rubber. These make the car’s side profile slightly more attractive than before. One of the biggest surprises is the price of the new XUV500. The facelift not only offers more in terms of features and performance but also costs lesser than before! The new model is cheaper than its predecessor by up to Rs 50,000. This makes the Mahindra XUV500 a better value-for-money proposition than before. The 2.2-litre Diesel W10 MT variant of the pre-facelift XUV500 was on sale for Rs 16.55 lakh. 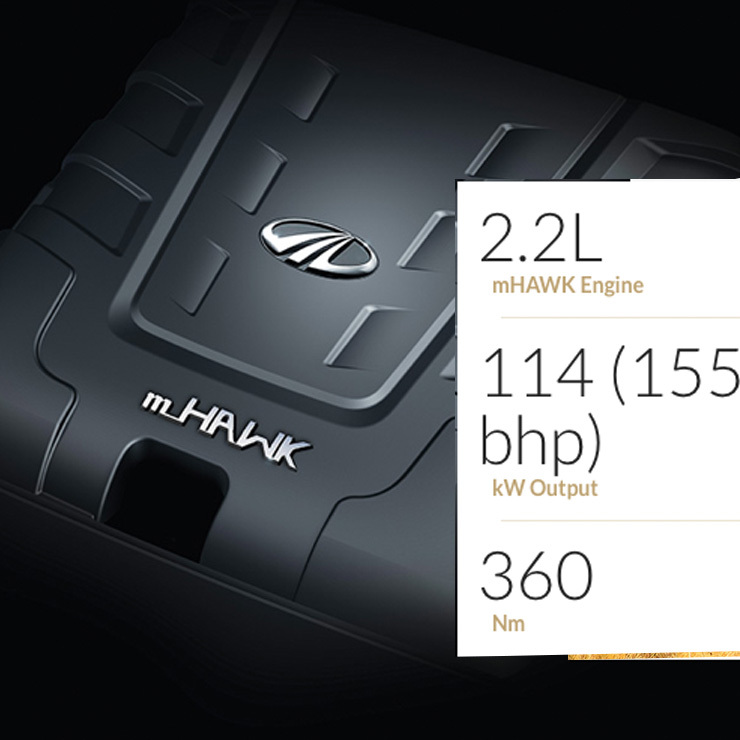 The new W11 MT variant not only offers more features and power but costs only Rs 16.43 lakh. This is a clear difference of Rs 12,000 in spite of the additional kit and power. There were many speculations that the XUV500 would get a more powerful engine for the top-end variant. Well, the new Mahindra XUV500 actually comes with a new engine but it’s available on all the variants! So, from W4 to W11, all the 5 diesel variants of the XUV500 now come with a 155 bhp-360 Nm turbo-diesel engine that offers 15 bhp-30 Nm more than its previous iteration. This bump in power has been achieved through the usage of a new sixth-gen ECU and acceleration-controlled turbo. More power = lower mileage, right? Wrong! The new XUV500 not only offers more power and torque than before but is also slightly more frugal. The earlier XUV500 offered an ARAI-tested fuel mileage of 15.1 kmpl. The latest facelift, on the other hand, offers 15.4 kmpl. While the difference in the real world might be hardly noticeable, it’s remarkable that the car has got slightly more frugal in spite of a bump in power. This is simply due to the engine getting more efficient from the new ECU and the updated turbo. Mahindra and Mahindra has also revised the suspension of the XUV500. This has led to an improvement in the ride quality. While the XUV500’s ride quality has always been pretty good, the latest set of updates promises to make the ride even better. Moreover, the updated suspension results in an improved steering feel. In most probability, the steering will no more have some of the vagueness that was felt on the earlier model. Mahindra and Mahindra have even lowered the NVH levels. There have been many complaints of a high NVH-level by existing owners. People have most complained about enough road noise and wind noise being transmitted into the cabin at high speeds. However, it looks like the company has finally addressed this issue. This should improve the comfort level of the occupants on long highway rides. 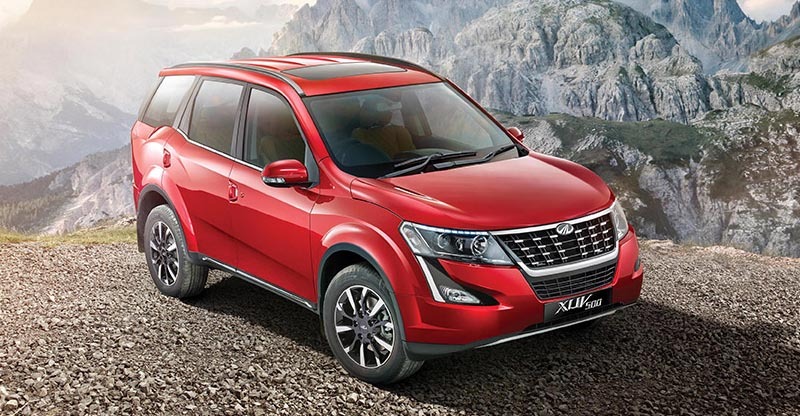 The Mahindra XUV500 gets two new colour options – Mystic Copper and Crimson Red. 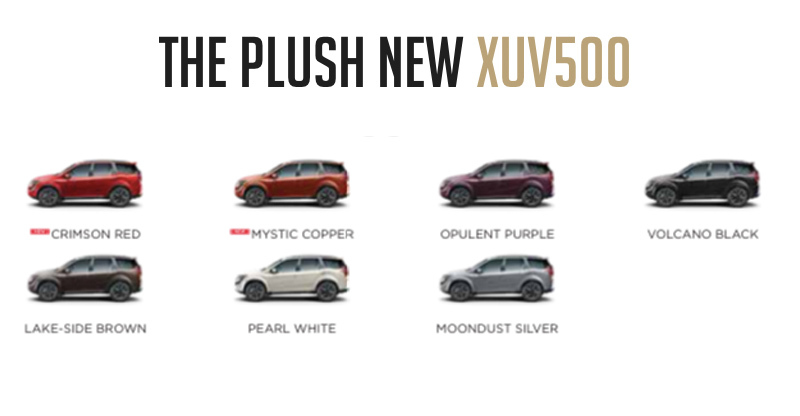 Other than this, all the colour options available on the pre-facelift have also been carried over to the new XUV500 2018.